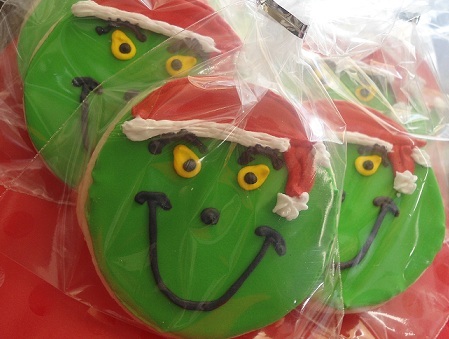 Diego is a royal icing transfer. I drew his face on with edible pens. The rest is butter cream. It’s hard to believe that the kid who broke my “one and done” vow has now been here for two years. I look at him all the time and just think about how he wasn’t “supposed” to be here but I am SO glad that he is. What a blessing! I love having TWO boys more than I ever imagined. 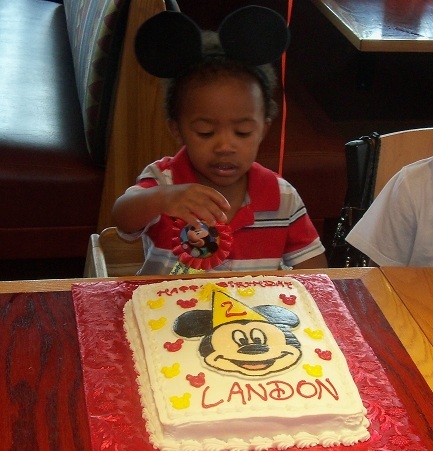 And now my second boy is TWO. 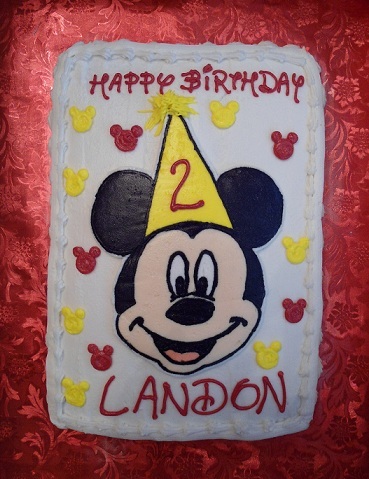 When Austin turned two, he wasn’t all that into any particular character or theme so I took advantage of being able to choose the birthday theme that I wanted (baseball) with the plans of letting him choose when he was older (which I’ve followed through with). No such luck with Landon. 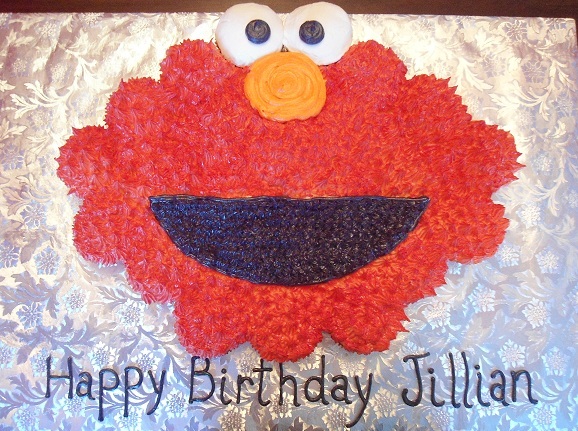 I had an adorable Cookie Monster cake design in mind but he fell in love with Mickey several months ago and it was just the obvious choice for his birthday cake. He loves any and everything Mickey! Mickey is a frozen butter cream transfer which I love doing for characters. 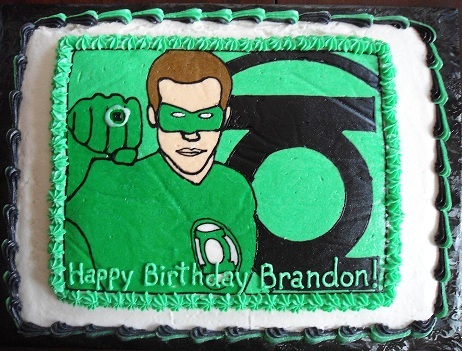 The base of the picture is done on a board with a coloring sheet as a guide, then it’s frozen and transferred to the cake and the details are added afterward. I attempted the “Disney font” for the first time. 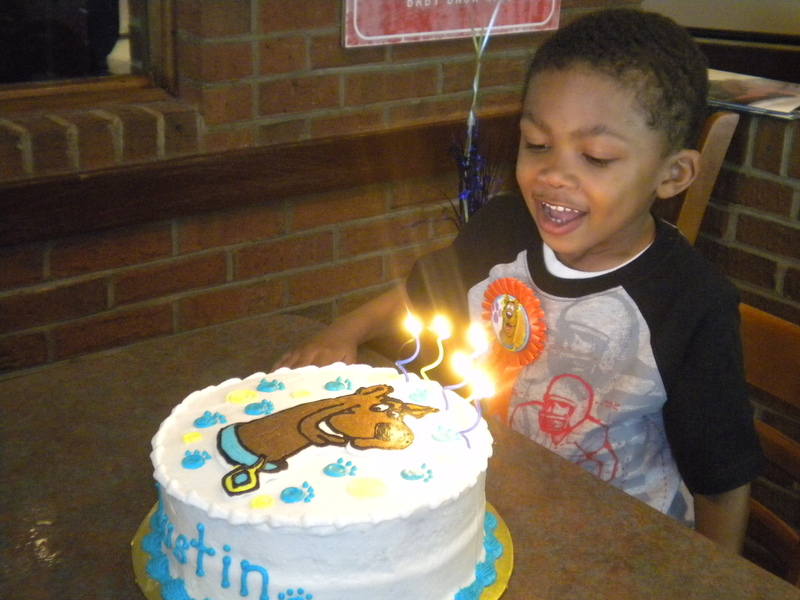 I can’t believe that my firstborn son is FIVE! Veteran moms tell you a lot of things and sometimes you end up with different opinions but there is one thing they are all right about- the time flies! 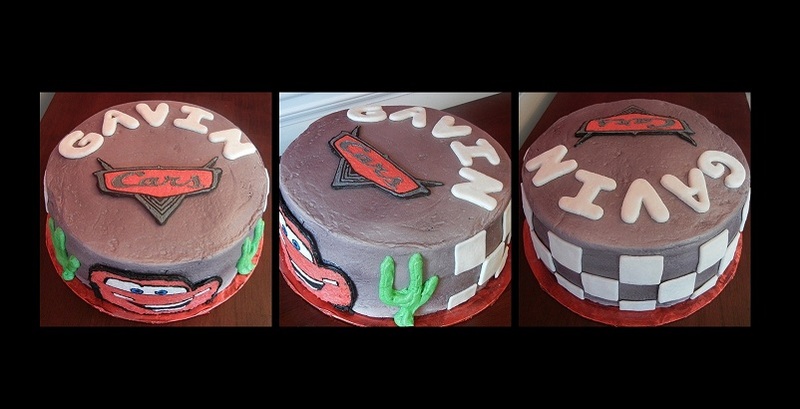 Austin changed his mind at least 10 times regarding his birthday theme. 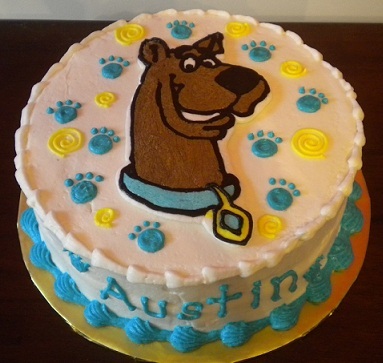 In the end, Scooby Doo was the winner. 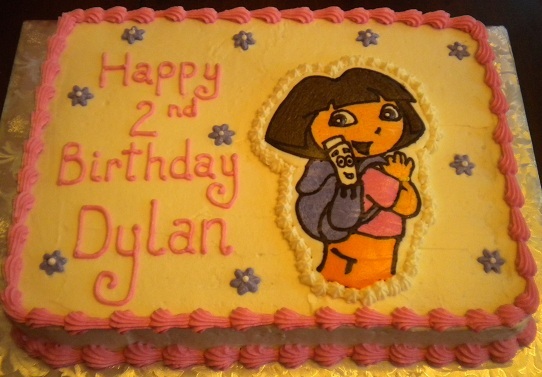 My friend Alexis asked me to make a Dora cake for her daughter Dylan. 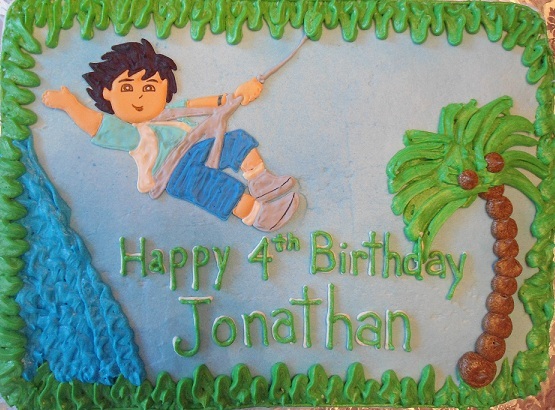 Dylan is a huge Dora fan so Alexis gave me all control over the design on the cake as long as it was DORA! I made Dora using the frozen butter cream transfer method. I decided to make her standing with her back to us so I could incorporate Backpack and her pen. 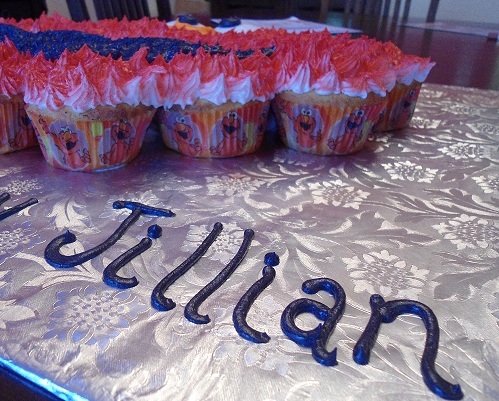 I was pretty happy with how it came out. 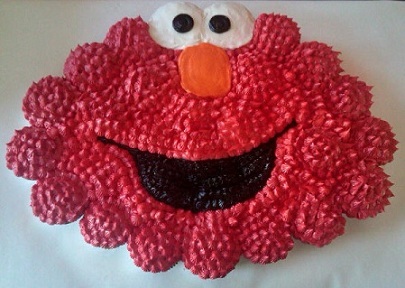 This is a larger version of my first Elmo cupcake cake. 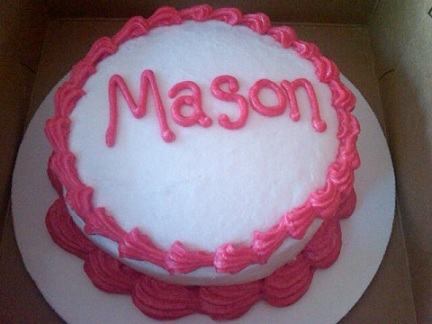 Happy 1st birthday, Mason!